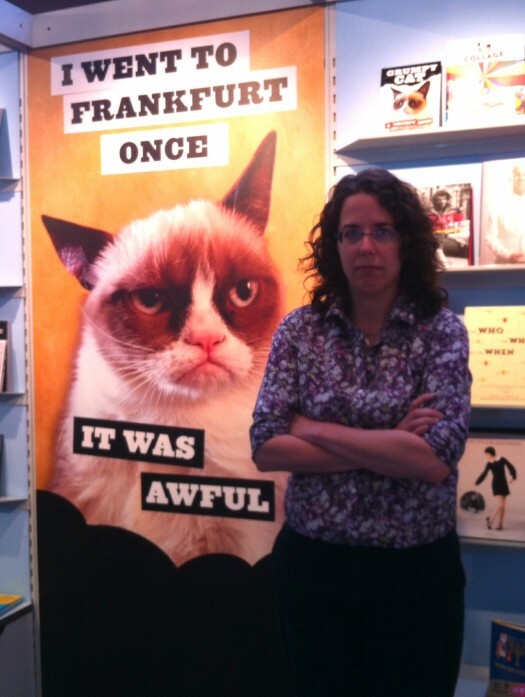 VQR’s web editor, Jane Friedman, is at Frankfurt Book Fair this week participating in a seventy-two-hour project to write a book on the future of publishing. Read her earlier posts on Day 1 and Day 2, as well as Is Self-Publishing the Most Important Transformation in the Publishing Industry? In my final essays on the future of publishing, I discussed how the digital age may bring us a new concept of what an author is and does. Rather than being the solitary creator who garrets himself away, and produces a work of genius for the world, he may become more of a moderator or collaborator who synthesizes and expresses many people’s ideas. Or: The ownership of an idea will not be as important. We can already see this trend in Internet culture, with memes and remixing—and creative commons as an alternative to copyright. To honor that idea, I’d like to celebrate others who have shared their visions on the future of publishing. None of the ideas I expressed during the Beyond the Book project were uniquely my own, but collected over many years of reading brilliant minds on the topic. Richard Nash. Read his essay for VQR on The Business of Publishing. Bob Stein. Here’s an excellent interview with Stein (from 2011). Mike Shatzkin. Read his blog on the publishing industry. Hugh McGuire. Read his essay on why the book and Internet will merge. Tim O’Reilly. Read his blog post It’s Not About You. Brian O’Leary. Read his essay Context, Not Container. Joseph Esposito. Read his blog posts for The Scholarly Kitchen. Cory Doctorow. He has a lot of essays out there, but try starting with It’s Time to Stop Talking About Copyright. Craig Mod. Read his essay Subcompact Publishing. Clay Shirky. Read his blog to start. Kevin Kelly. Read his blog posts Post-Artifact Booking and What Books Will Become. I also highly recommend his book What Technology Wants. This is not an exhaustive list—I’ve been reading on this topic for as long as I can remember—but these are the people I go to most frequently for insight and inspiration. You can also take a look at my reading list for UVA students who take my digital publishing course; it is continuously updated. To read all the contributions to Sprint Beyond the Book, including my own, click here. I am immensely grateful to the ASU and Intel team who made this experiment possible. It is already a treasured experience. Thank you.